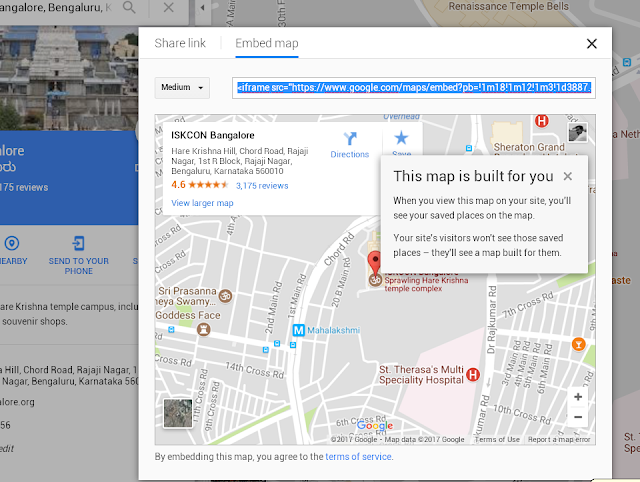 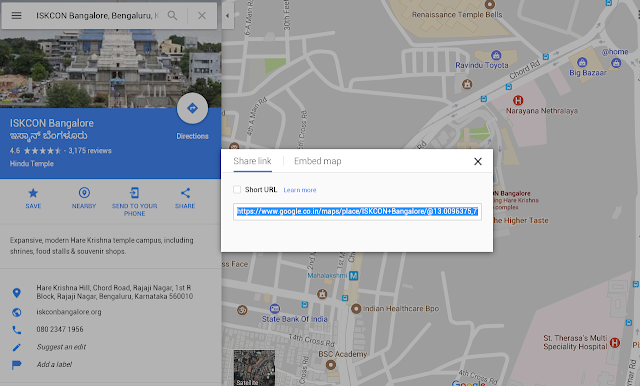 Step:1 Login google account and choose your location in google map. 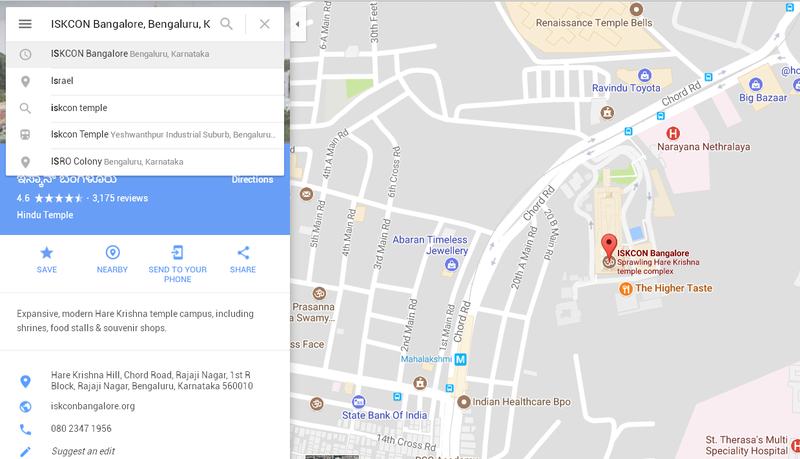 For example here i took iskcon temple. Step:2 Click Share link and click Embed map and copy this code and paste it in your website.